Xiaomi today launched its new Android smartphone under the MI 8 series. 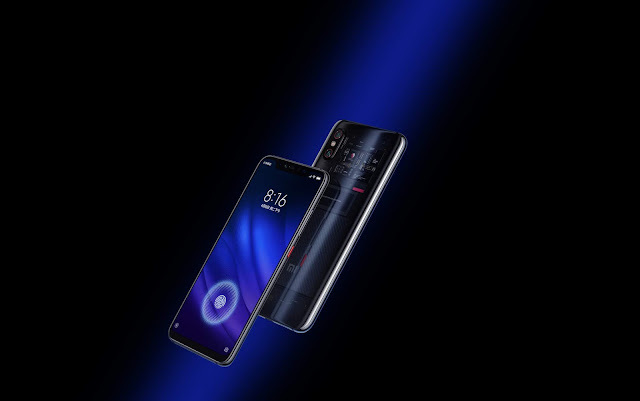 the company has launched its brand new MI 8 youth edition and MI 8 screen fingerprint edition in their home country China the MI8 youth edition & MI 8 pro is related to the flagship MI 8. The MI 8 screen fingerprint edition or MI 8 Pro which have a Qualcomm Snapdragon 845 processor And this Smartphone basically supports pressure sensitive in display fingerprint sensor just like in common ways we hear about a smartphone which basically coming from Vivo company in that phone we see the first in display fingerprint sensor Technology so just like similar to that Xiaomi also have this type of Technology in which we are going to have fingerprint scanner in the display of the MI 8 smartphone. 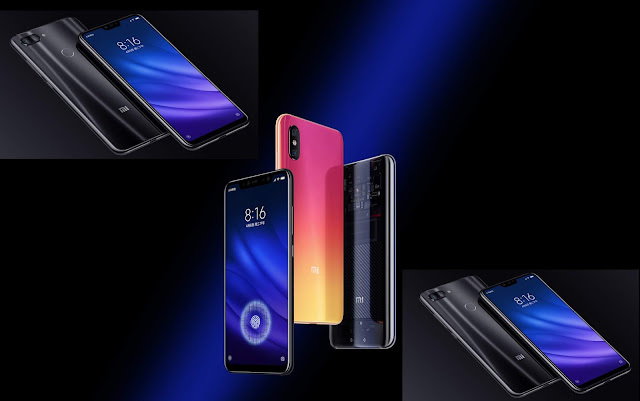 There are various type of variants introduced by xiaomi of Mi 8 youth edition/MI 8 Lite edition in which basically as per the reports the MI 8 youth edition starting variant from 4GB RAM and internal storage of 64 GB which is basically price in near approximately Rs 14,500 and for the model of 6gb RAM with 64GB internal storage will be approximately price near RS 17,500 and maybe there is also another variant in relation to the storage 6gb Ram + 128 GB storage variant Nearly price approximately in a Rupees 20,500 and there are some various type of colour options which we are going to have in this is smartphone like or blue, sunset gold and midnight black etc. on the other hand the MI 8 screen fingerprint edition or Mi 8 Pro edition in this Smartphone we are going to have a in-display fingerprint sensor which means you have a fingerprint scanner installed in your display you don't have to put your fingers on the back side of the smartphone like a regular smartphone which are sold today's in the Global market this is basically a new technology for consumers and there are also various type of variant available for this smartphone in the market and if we talk about those variants are likely to be 6gb of RAM with 128 GB storage and this smartphone is going to be higher price than its Mi 8 Lite edition and the pricing is approximately nearly rupees 33,000. and for 8GB of Ram and 128 GB storage variant which is basically price approximately nearly RS 37,500.
and as per the reports the MI 8 new smartphones are available for pre-order starting today that youth edition will go on sale on September 25 and the screen fingerprint edition which means in display fingerprint edition will be available from 21st September. The Mi8 youth edition have a 6.26 inch full HD plus 2.5 D curved Glass display with the notch and the aspect ratio of this Smartphone is 19:9, and for the powerful processing this Smartphone is going to have a Qualcomm Snapdragon 660 processor with the support of 4 GB of RAM and another model is 6gb Ram the story is variant of these smartphones are going to have a 64 GB of internal storage variant and 128 GB of internal storage model. For the photography section the camera of this Smartphone comes with a dual rear camera setup which have the combination of 12 megapixel primary sensor and 5 megapixel secondary sensor and for the selfie lovers the smartphone is going to have a 24 megapixel Sony IMX 576 sensor, And also there are various type of features also comes with the camera just like face unlock feature and also we have a physical fingerprint sensor at back of the smartphone. the smartphone comes with a MIUI9 based on Android 8.1 Oreo and the battery of this Smartphone is 3350 mAh, the smart phone also support Qualcomm quick charge 3.0. these all above all are the specification of this Smartphone. Specification And Feature Of Xiaomi Mi 8 Screen Fingerprint Edition Or Mi 8 Pro. The key highlight of this Smartphone is its fingerprint which means in display fingerprint or we call it as the fingerprint sensor in the display of this Smartphone which is a pressure sensitive in display fingerprint sensor and in case of the display size of this phone which is 6.21 inch full HD plus amoled display with 18:9 aspect ratio. In this is smartphone there is a powerful processor which is from Qualcomm Snapdragon 845 and for the storage and Ram variant options this smart phone is going to have multiple options just like 6 GB of RAM and 8 GB of RAM with 128 GB of storage and for the photography lover the smartphone is also going to have dual rear camera setup which have a 12 megapixel primary sensor and a 12 megapixel secondary sensor also with OIS and optical zoom type of features also and for the selfie lovers the smartphone front camera is a 20 megapixel camera with realtime portrait features, there are also various type of features with this smartphone support like - NFC, USB type C, quick charge, a battery of nearly 3000 mAh and for the software experienced Android 8.1 Oreo based covered with MIUI9 out of the box. 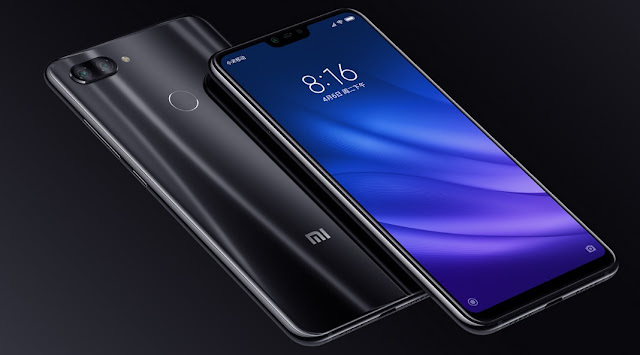 The xiaomi MI 8 Pro with fingerprint and Mi 8 Lite with Snapdragon 660 processor launched by xiaomi in their MI 8 the flagship category lineup now basically these are the latest smartphone which is coming from xiaomi and there is no clear information about when the MI is going to launch the smartphone in India but this is smartphone are launched in their hometown China.